My mom and brother came up to celebrate a late Christmas with us in Georgia, but since they are leaving New Year’s day, I fixed my traditional New Year’s meal two days early. 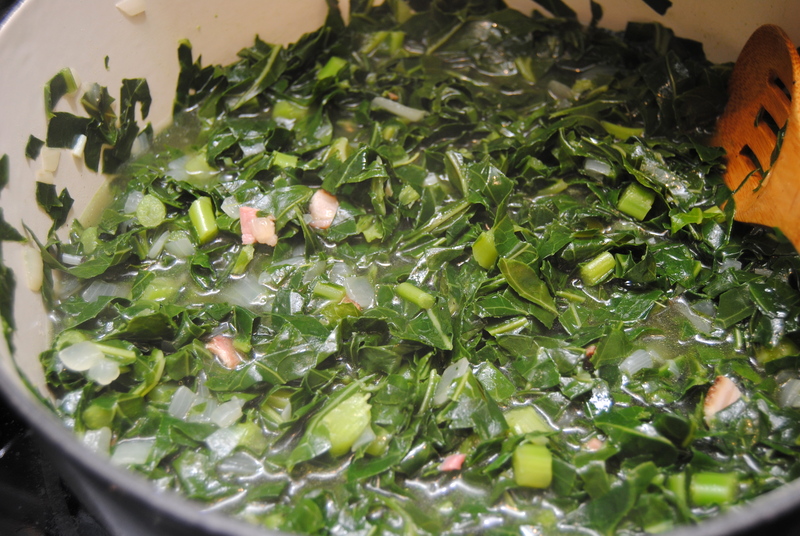 For me, a New Year’s meal means ham, collard greens, black eyed peas and cornbread. 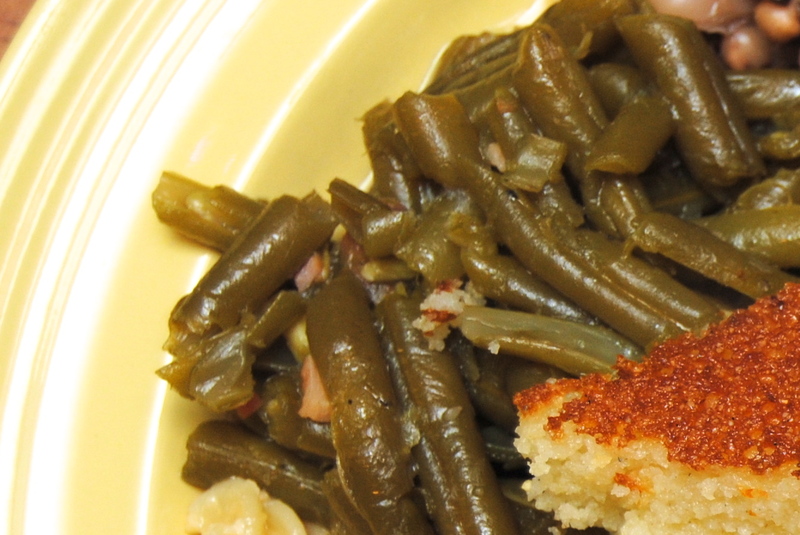 And then I add whatever else I’m in the mood for – which this year meant we had green beans and mac and cheese. Talk about a feast! Most times I use hog jowl or salt pork, but this year I lucked out with my hubby picking up some house-smoked bacon from a local butcher shop and so half of my dishes were laden with bacon. Nothin’ wrong with that. 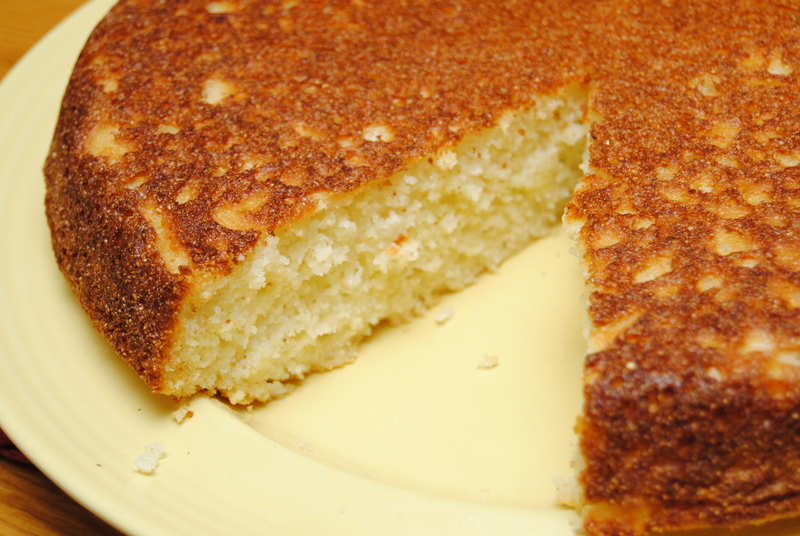 Most of these recipes are just a few ingredients and pretty simple. It’s a mission to make it all, but well worth it when you sit down eat. And that, my friends, is a happy plate. 1.) Over medium heat in a small saucepan, combine all ingredients and heat until it starts to bubble. 2.) Remove from heat and pour the glaze over a fully heated ham. Place ham back in the oven and cook for 15 minutes. 1.) 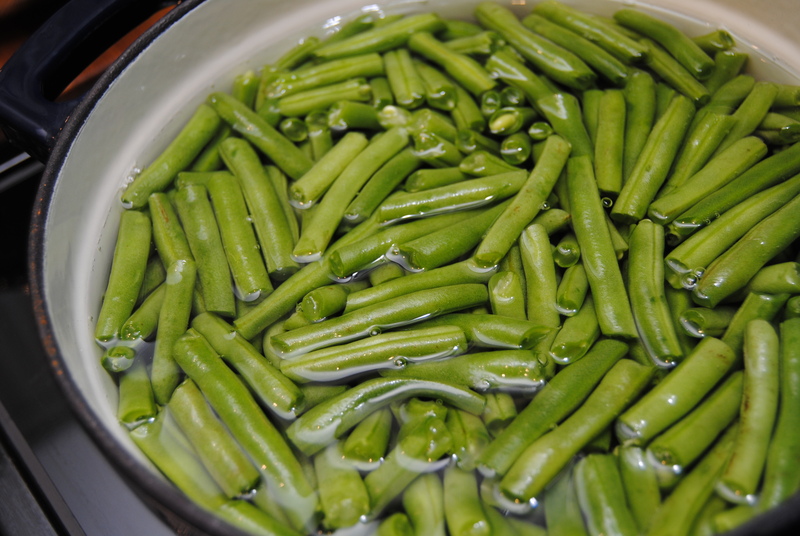 Add green beans to a large pot and fill with enough water to just cover the beans. 2.) Add bacon, onion, salt, pepper and sugar and heat to boil. Reduce heat to medium low (or until it reaches a low simmer) and cook uncovered for 2 to 3 hours, stirring occasionally. Most of the water should be gone by the time they are done cooking. 3.) 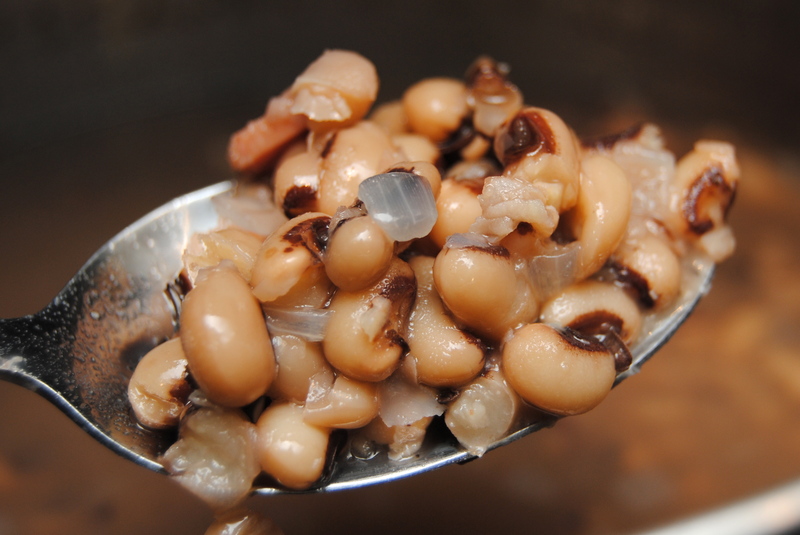 Taste beans and adjust salt, pepper and sugar to your liking. I forgot to take a picture of the cooked beans in the pot. And now I’ve eaten them all. Oh well, a super-cropped image from the plate shot will have to do. 1.) In a large pot, heat butter and add onions to sauté. Add bacon and cook until onions are translucent. You don’t want the bacon to get crispy here. 2.) 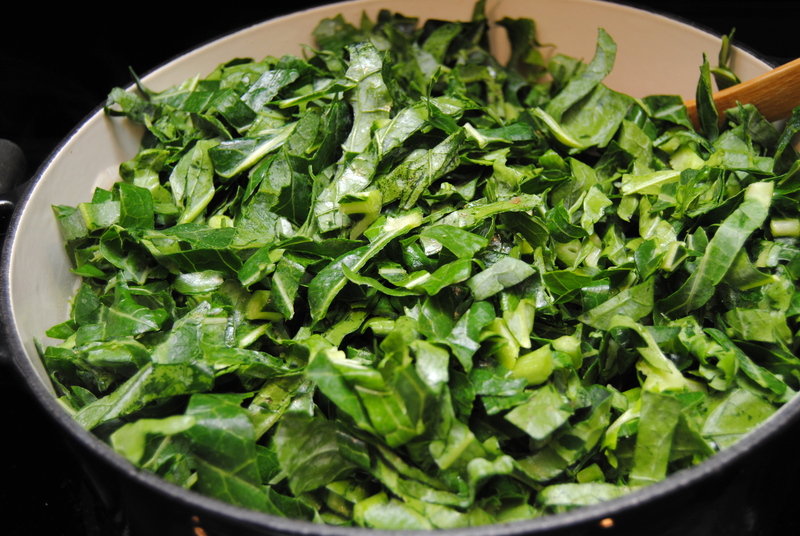 Add collards and sauté for a couple of minutes. Add water, salt, pepper, sugar and vinegar. 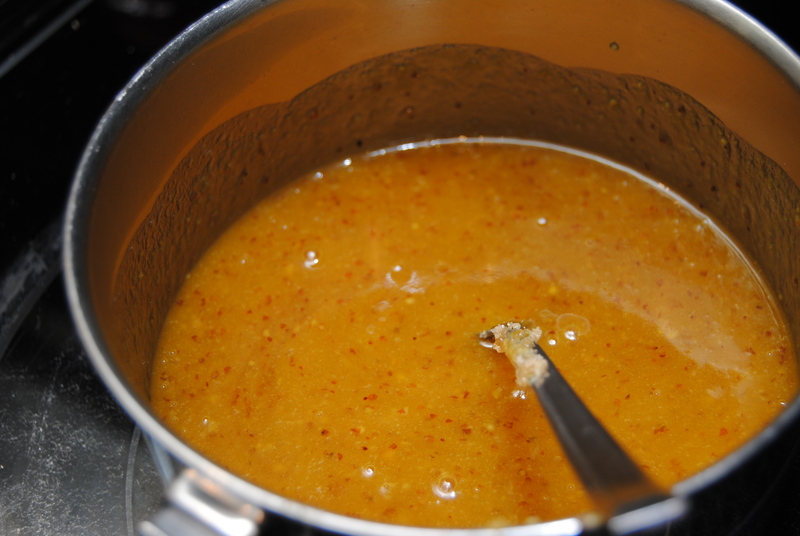 Bring to a boil, then reduce heat to medium-low and simmer with the lid on. 3.) Cook for 1.5 to 2 hours or until they are as done as you’d like, and stir occasionally. Taste and adjust as needed. 1.) Place all ingredients in a large pot and heat to boil. Reduce heat and simmer with a lid slightly cracked for 1.5 to 2 hours. Do not stir often, as it will break the peas. 1.) 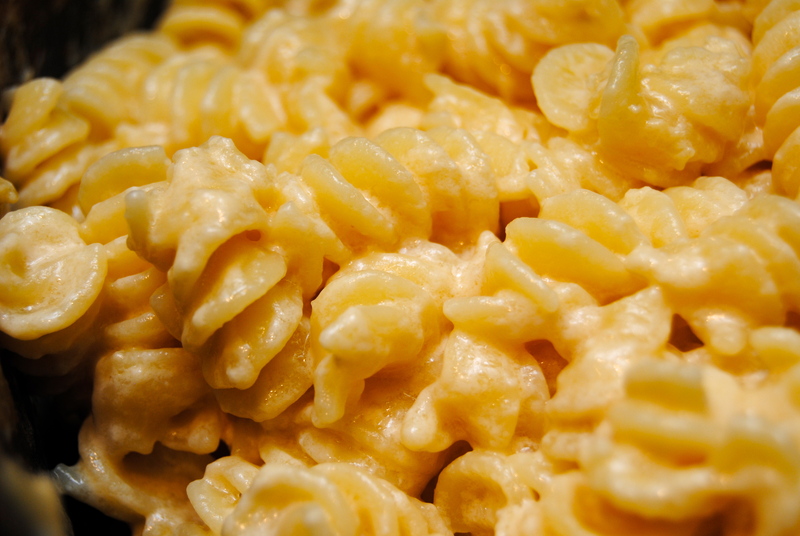 Add all ingredients (except 1/2 cup of yellow cheddar) to a crock pot and mix well. 2.) Cook on low for 3 hours, stirring occasionally. 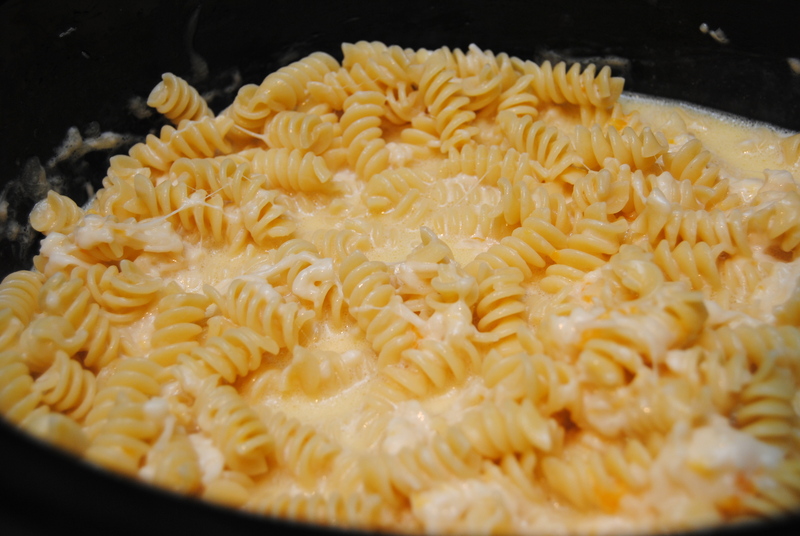 Add remaining cheese to top and cook until melted. 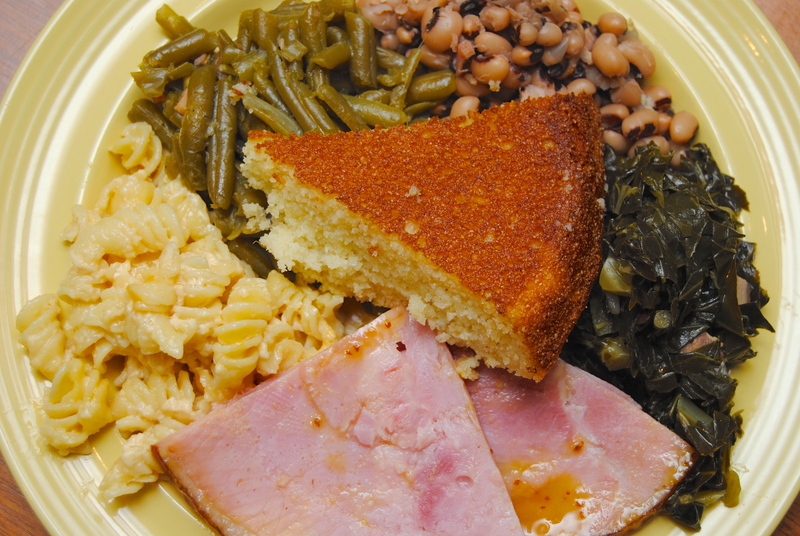 This entry was posted in Food and tagged Bacon, Black-eyed pea, Collard greens, Cornbread, Dinner, Food, Green beans, Ham, Honey mustard glaze, Macaroni and cheese, New Year, Side dishes by biscuitsncrazy. Bookmark the permalink. Thanks for posting this ahead of New Years Day! 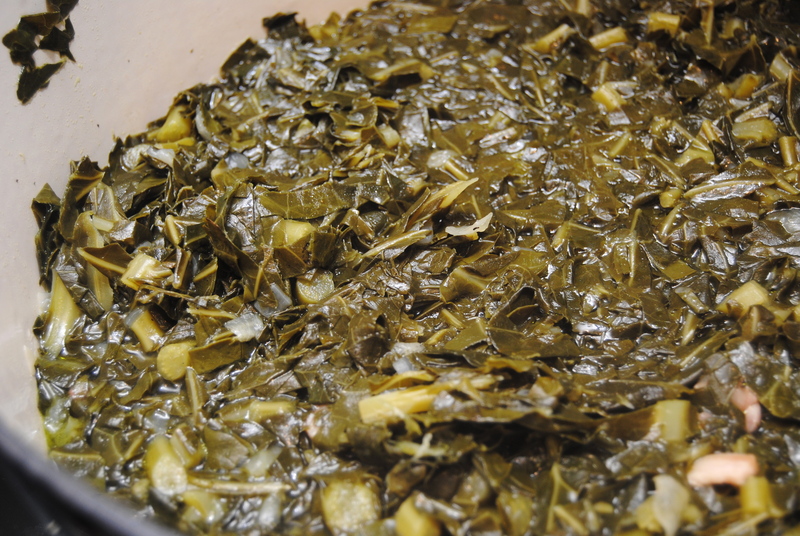 I used your recipe for collard greens. I halved it for our small family and substituted chicken broth for water, because I needed to use it up. It turned out great, and I had a second helping of a vegetable that I rarely eat. Thanks! Well I finally found the perfect glaze for ham and believe me I’ve tried a lot of them! Thank you for posting this. It’s easy to make with just the right amount of mustard and sweetness. I’ll be using this from now on. The rest of your recipes listed here also look good I’ll be trying them out. Thanks again. Hi Marjorie! Glad to hear you enjoyed it! !